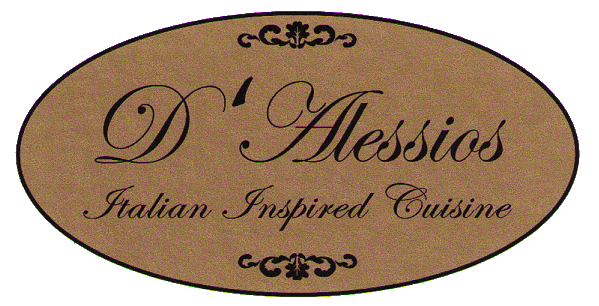 D'Alessios is now open for business - located in the Palace Office Building, 537 S. Broadway, Suite 102, Greenville, Ohio. Their hours are 11am to 8pm Monday through Saturday, closed Sunday. A copy of their menu will be available here soon. My husband and I had dinner tonight at D'Alessio's. I highly recommend it. I had the Mediterranean Pasta (sun dried tomatoes, artichoke, olives, olive oil and herbs) while my husband had the Tomato Sauce Pasta (savory blend of tomatoes and Italian herbs.) We also ordered the stuffed breadsticks. The salads hava a variety of greens. All the food was excellent. We will be eating there again very soon. D'Allesio's is wonderful! All of the food is fresh and made in house, and the service is prompt and the staff friendly. Highly recommended.